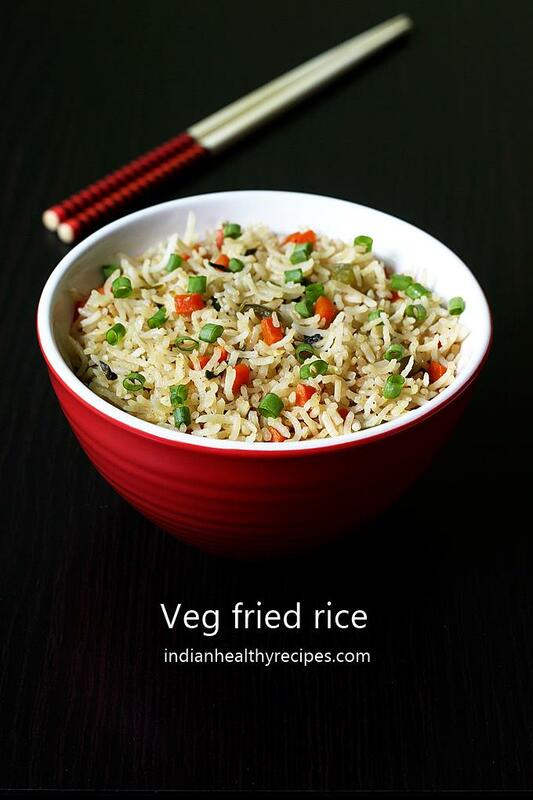 Veg fried rice recipe – Delicious, flavorful and quick to make veg fried rice! There are so many ways a fried rice can be made. Chinese fried rice, schezwan style, egg fried rice, chicken fried rice are some of the most common ones from the Indo chinese cuisine. 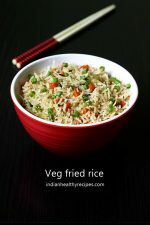 This vegetable fried rice is an easy one to follow, can be made with any sauce one likes. 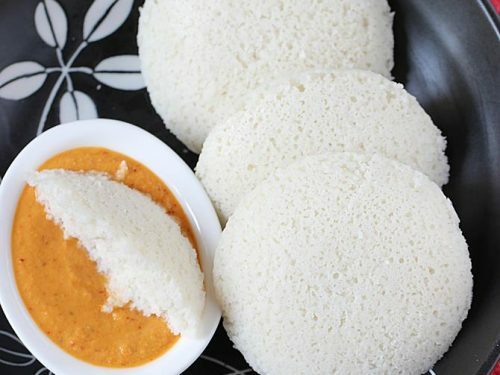 It can be made in a jiffy with basic ingredients and rice. Chinese Restaurants serve veg fried rice that often taste different from one another. The few ingredients that are used in almost all recipes is the monosodium glutamate called as ajjinomotto and the olive oil or sesame oil. Ajjinomotto lends a different taste and flavor to the rice that dominates every other ingredient that is used. Due to the controversies associated with it, I do not suggest or use it for any of my foods. You can still make a very good vegetable fried rice with out it. Always use non sticky rice. Cook it al dente and not mushy. 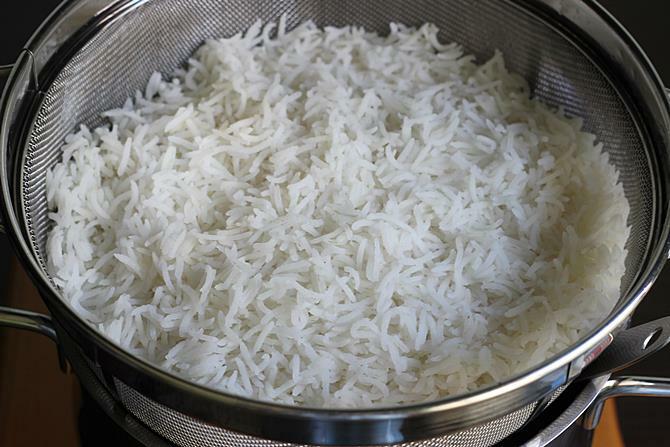 A good method to cook rice is to rinse it well to get rid of the starch. Then cook it in a open pot. Cool the rice completely before adding it to the pan. Do not use cold vegetables from fridge as they let out lot of moisture & turn too soft. Always make veg fried rice on the highest flame this lends a unique aroma. Veg fried rice can be made without any sauce. But soya sauce imparts a flavor. 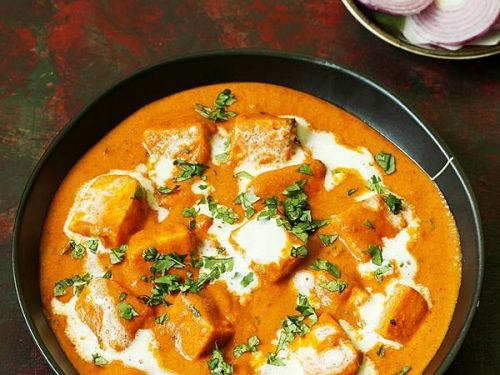 You can also add any sauce of your choice like schezwan sauce or chilli sauce. 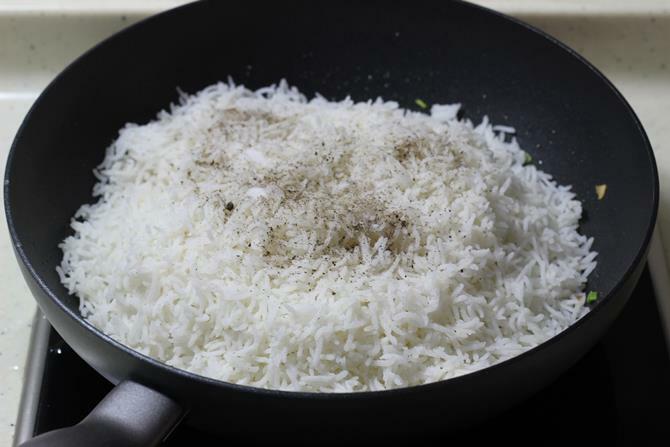 After cooking the rice, adding a tbsp of oil and tossing will prevent the rice grains from sticking up to each other. What vegetables do you put in fried rice? To make veg fried rice, you can use your favorite veggies like corn, baby corn, beans, bell pepper, spring onions, peas, carrots,mushroom and cabbage too. We love using cabbage but it is optional. If you have a dislike towards it you can skip. But fresh tender shredded cabbage lends a unique flavor that one can find in restaurants served fried rice. This recipe can be altered to suit your taste, make an Chinese style fried rice by using soya sauce or use peri peri sauce to make a hot spicy peri peri rice. It can also be made using only vinegar. 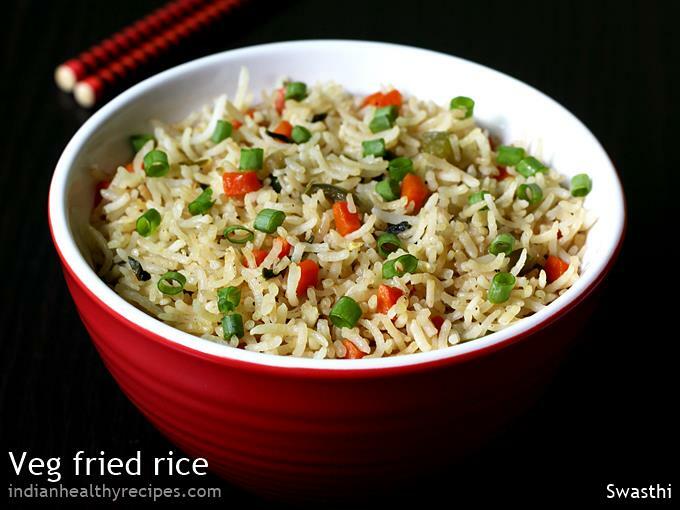 Typically a simple Indian style fried rice is made using only vinegar & without any sauce. Soya sauce if used in moderation is said to be healthy. Hence do not include it often in your diet as it is high in sodium & may cause health issues. 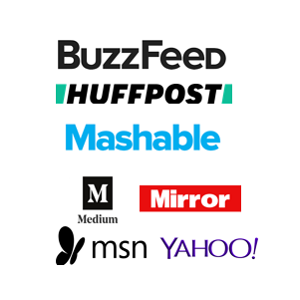 While buying soya sauce choose one that is labelled as naturally brewed or traditionally brewed other ways of making soya sauce uses harsh chemicals which cause side effects in the long run. Also check the ingredients, some soya sauce come with MSG (ajinomotto) included in it. Do not buy such bottles. Soya is a hormone disrupter, so use with caution especially for kids. 1.You can make egg fried rice using the same recipe. Just stir in 4 eggs once the veggies are cooked. Scramble & cook the eggs then add rice. 2. Stir in your favorite sauce to spice up the fried rice. You can use some schezwan sauce or sri racha. 3. You can also use some cooked chicken chunks in this dish. Just add them to the pan along with the veggies. 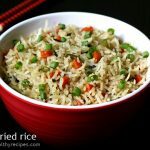 Fried rice recipe – Restaurant style easy vegetable fried rice recipe made in Indo Chinese style. This recipe will yield you one of the most flavorful & delicious fried rice. Serve it as a main course with any Chinese style side like chili or Manchurian dishes. Wash rice a few times till the water runs clear. Soak it for at least 10 mins. Bring 8 to 10 cups of water to a boil in a large pot. Then drain the water from the rice and add it to the boiling water. Pour 1 tsp oil. This prevents the rice from turning sticky. Cook rice till al dente. Rice must not be mushy but has to be grainy. Drain off the rice to a colander. Cool it completely. 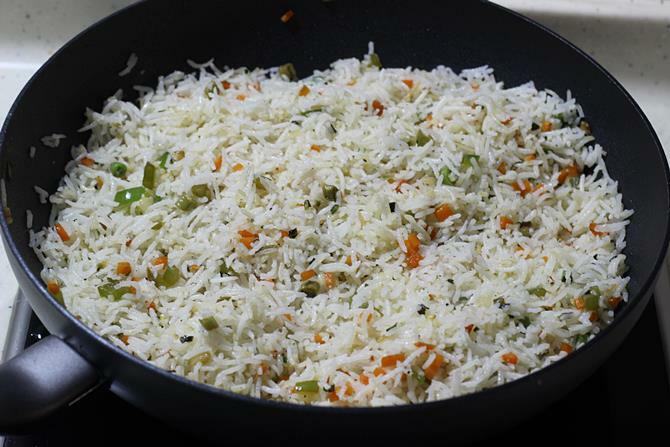 While the rice cools, chop the veggies, garlic and other ingredients. Once the rice is cool fluff up with a fork. Heat a wok with oil on the highest flame. Add chopped garlic and sauté till they get fried slightly. If you wish to use mace and star anise you can use. They lend a wonderful flavor. If you prefer to use star anise powder skip now and add it to the pan just before putting in the rice. Next put in all the chopped veggies and fry for a min or two. If you like very crunchy bell peppers add it in the next step. You can also add in half tsp sugar to cut down the pungent taste from vinegar. 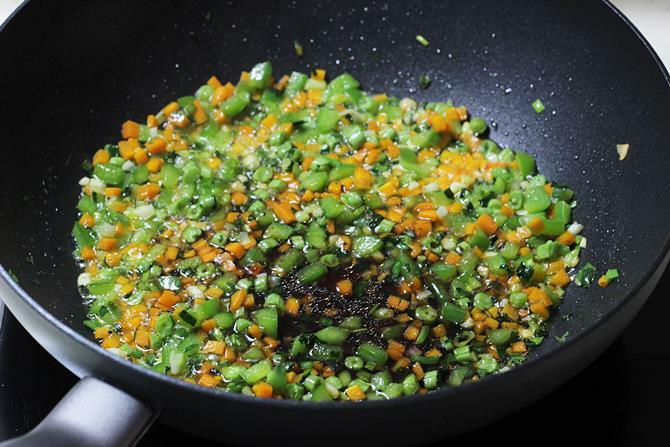 To make Indian fried rice recipe just add vinegar to the wok. To make Chinese style, add to the wok soya sauce, vinegar, salt. Soya sauce is salted so add salt with caution. Add rice and pepper powder. Mix everything well and fry the vegetable fried rice for 2 mins. I usually add star anise power at this stage. Garnish veg fried rice with fresh chopped spring onions. A Chinese wok lends the best flavor to the rice. Even a cast iron skillet works good. Do not use mushy rice. Refrigerated rice can be used. You can also stir in an egg after frying the veggies. You may like pair few sides with this fried rice. If you have precooked rice, then skip the first too steps. Most people prefer to use up 1 day old cooked rice or left over rice. We don’t eat leftover rice so I always make fried rice with fresh cooked rice. I have shown below the way we personally prefer. 1. 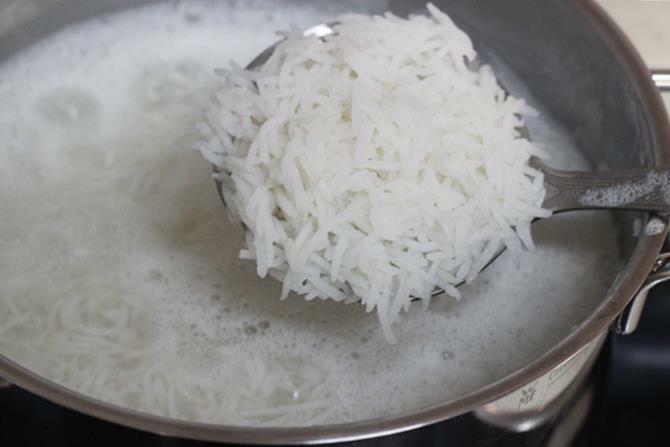 Soak rice for 10 to 20 mins and cook in lot of water with few drops oil. Cook the rice till al dente but not mushy. Grains must be separated. 2. Drain off the rice to a colander and cool it. While the rice cooks, chop all the veggies. 3. Heat oil in a wok on the highest flame, If you don’t have a wok, use a wide pan. 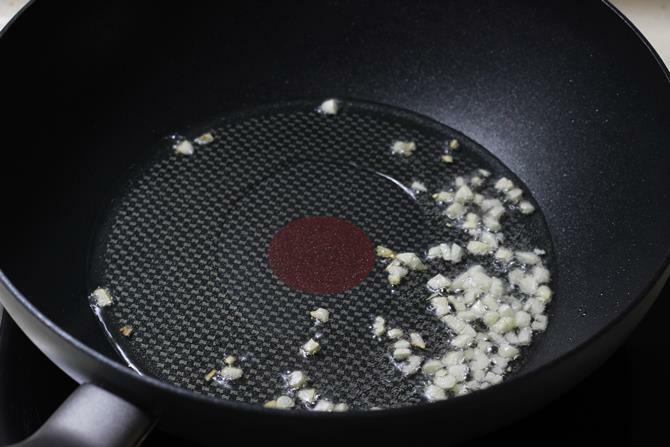 Add garlic sauté till you get an aroma. If you wish to use spices, you can add a single strand of mace and star anise now and fry for a min. This is optional but gives the authentic chinese cuisine flavors. 4. 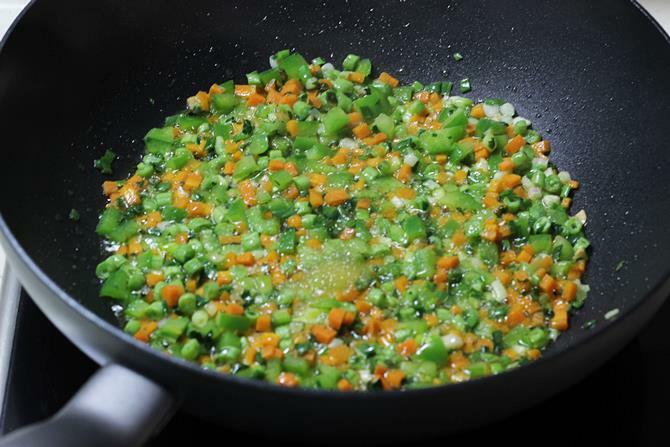 Add all chopped vegetables and fry for 2 minutes. 5. Next add sugar if you like. 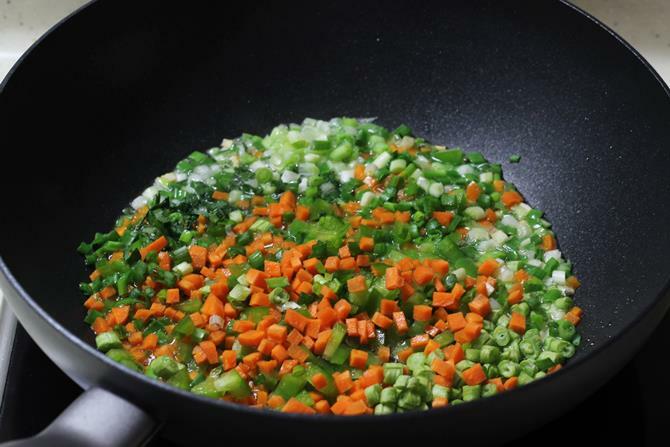 Using sugar keeps the veggies color intact. 6. For making Indian fried rice just add vinegar and salt. To make chinese style, add soya sauce, vinegar and salt. You can also add red chili sauce as needed and this is optional.There is already salt added in the sauces, so take care not to add too much. 7. When the sauce bubbles, add rice and pepper.You can even sprinkle pepper powder fresh before serving. 8. Toss, Mix, fry for 2 to 3 mins. Adjust more of less sauce now to suit your taste. Remember the entire cooking process should happen on the highest flame. Otherwise the moisture from the veggies can make the rice mushy. Garnish veg fried rice with spring onions. Very delicious food. I wanted to add one more thing to make yummy. Heat an old pan, place this Veg Pulao pot and dum cook for 15-20 mins on a medium heat. 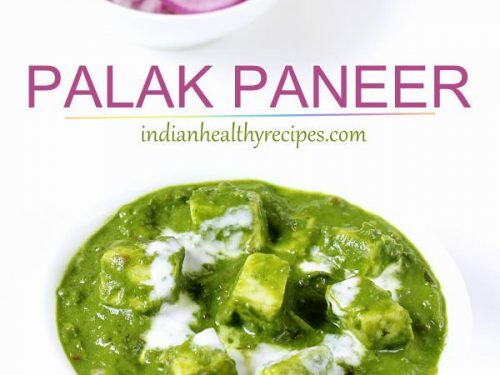 Hi..i like all your recipes nd they r v easy to make nd become delicious. 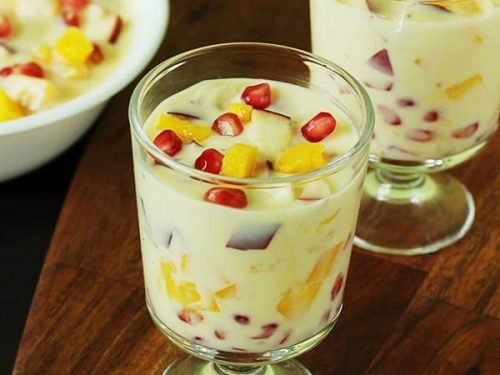 I like much bcoz of the pictures u provide of step by step.upload more recipes. VeRy good recepies …so much help give to me.. 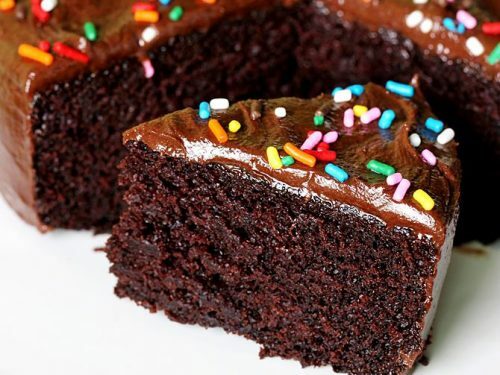 I really love your all recipes. I have tried no. of recipes too. I have a suggestion and request that “would you like to provide all about all Indian thali recipes or a full thali? Thank you and keep it up. Superb…. Delicious….. Yummy…… Thank you very much. i love your blog. Its very helpful 4 me. Please share chicken or mutton Hakeem. Its my fevrt dish. 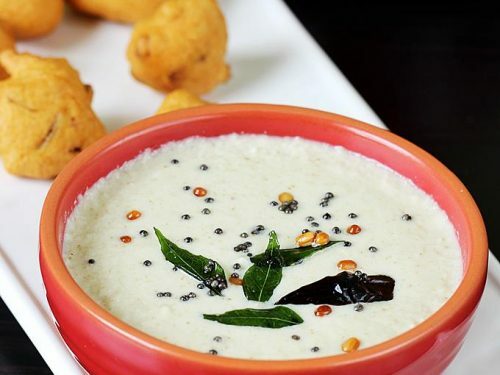 Its really awosame Delicious n easy to prepare. Thnx 4 shareing. Your comment made me happy. Very nice ,delicious and easy to cook. Thank you for sharing this recipe . Made this just now and your recipe is brilliant!! Also made the Chicken 65 (restaurant style). THANK YOU so much for sharing your lovely recipes! very nice recipies.. I like them,and will definitely try them out soon…..
very nice and very easy to understand of steps with picture to make recipe…great !!! !